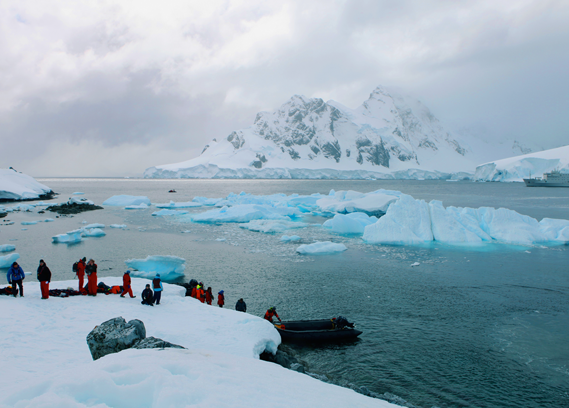 The concept for the Antarctic Biennale was first proposed by Russian artist, sailor, and philosopher Alexander Ponomarev in 2011. Alexander has conducted several expeditions to Antarctica and organized a number of international artistic events on the continent. In 2014, as Commissioner, Ponomarev established the Venice Biennale’s first ever supranational pavilion — the Antarctic Pavilion — as an international interface of the Antarctica Biennale (with the support of the AVC Charity Foundation). Alexander Ponomarev and Nadim Samman (who curated the first exhibition in the Antarctic Pavilion) were included in the 2014 list of ’The 100 Leading Global Thinkers’ (Foreign Policy Magazine, USA) for their work on the Pavilion and Biennale.